The nation’s love affair with gin has reached fever pitch in recent years, with all sorts of products awash with the tipple hitting the shelves. Hands up who had a gin advent calendar? Exactly. 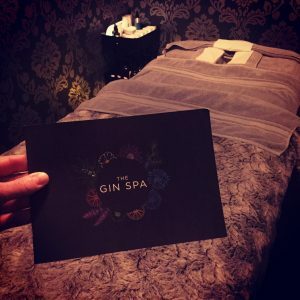 But a gin spa? Now that’s a new one. And we L-O-V-E the idea. 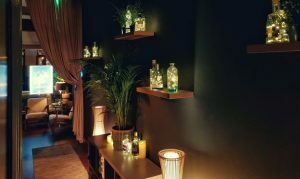 Opening its doors last month, The Gin Spa in Glasgow, Scotland, is a brand new sanctuary dedicated entirely to the fabulous botanicals found in the spirit. If you’re thinking it’s just a case of being handed a glass of gin on arrival, then think again. 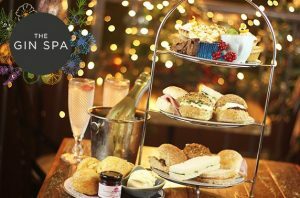 Once inside, expect a whole selection of treatments – including facials, manicures, pedicures, back massages and reflexology – with products inspired by the botanicals. And the best bit is, all the treatments are tailored to your skin type and the way you want to “feel” afterwards. Want to feel active? Then how about a massage containing Clove, Bergamont, Lavender and Eucalyptus. Or maybe you’d like to feel happy? Then opt for a manicure bursting with Pink Grapefruit, Lime and Bergamont. Of course, the trip wouldn’t be complete without a glass of actual gin, so it’s a good job there’s plenty of complimentary gin cocktails on offer. A-Mazing. Previous PostEmma Watson and Robert Pattinson had a Harry Potter reunion at the Golden Globes!